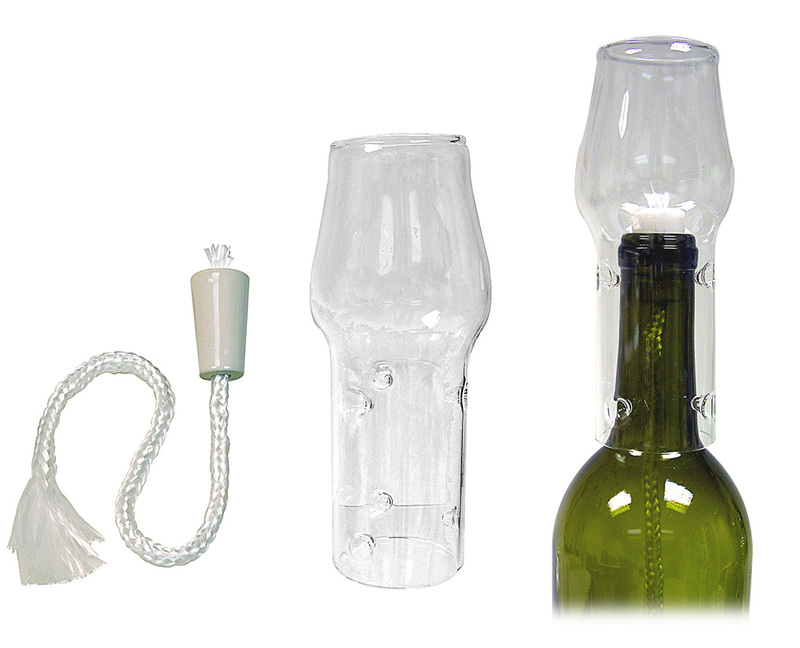 CERAMIC WICK HOLDERS and INSERTS can turn your wine bottle or similar container into a charming oil lamp instantly. Wick Inserts Use 5/32" Diameter Wick #391-033-06. Click on "Wicks..." Link at bottom of page to order replacement wicks. 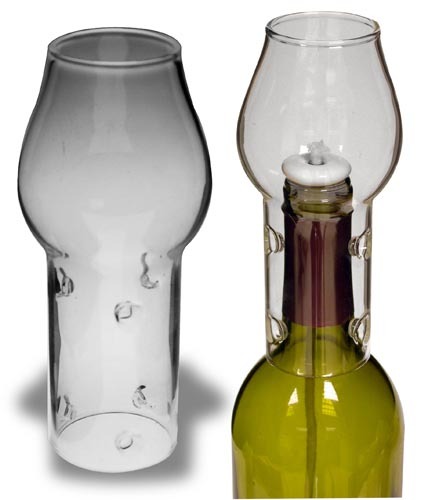 Premium Smokeless LAMP OIL is also available. Click link on bottom of page to see and buy. Glass Flame Protector for BOTTLE LAMPS. Use with Wick Holders, Oil Candle Inserts, or Wax Candles. 5-5/8" High. Fits Bottle Necks Up To about 1-1/8" O.D. Do Not Leave Open Flame Unattended. Always Use Non-Flammable Bottles and Jars Compatible With Lamp Oil.